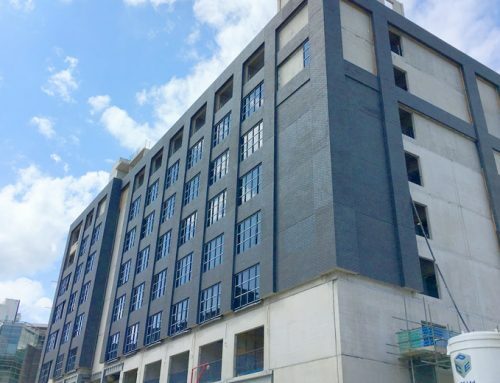 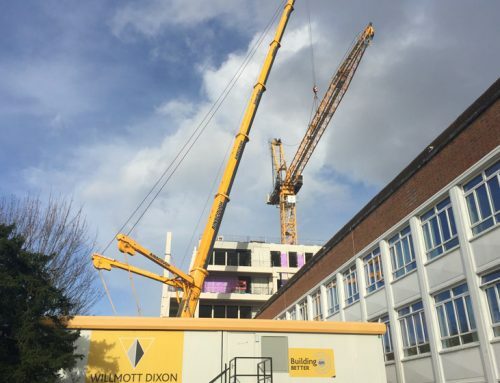 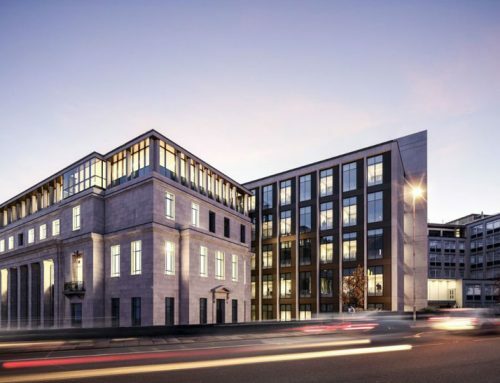 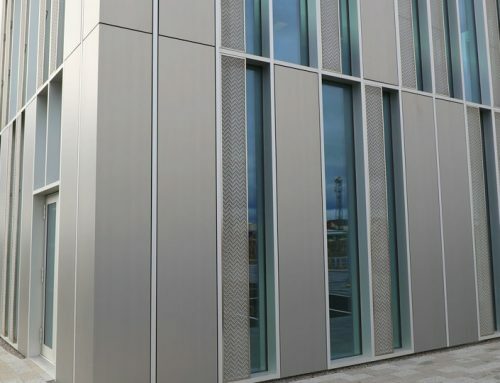 The lift and stair cores are of CEF‘s new data, IT and marketing centre in Durham are being constructed with PCE Ltd’s Prefastcore system, which provides a safe, fast and dimensionally accurate solution for the construction. 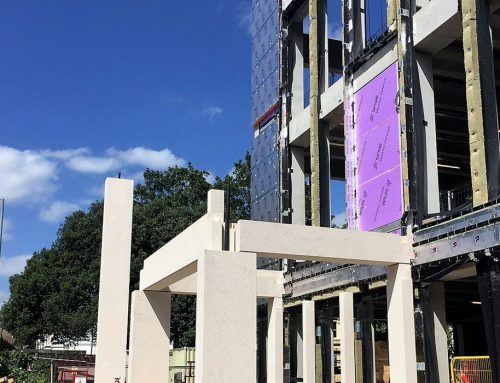 Precast concrete columns, shear walls and steel Deltabeams together with PCE’s innovative GT flooring units provide the structural frame solution with insitu concrete being used where necessary to facilitate structural connections. 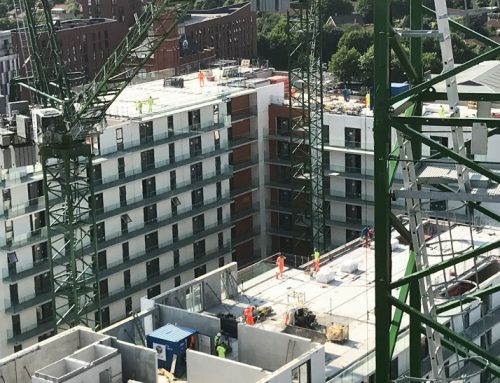 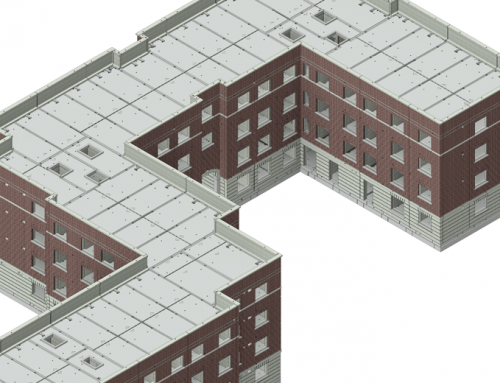 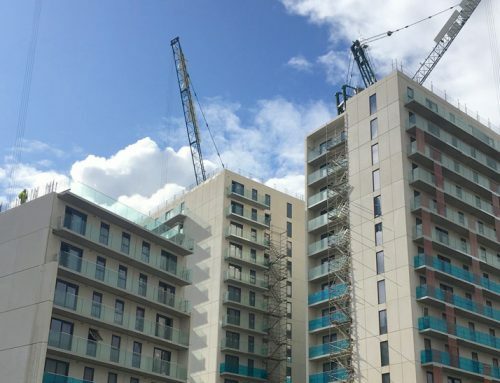 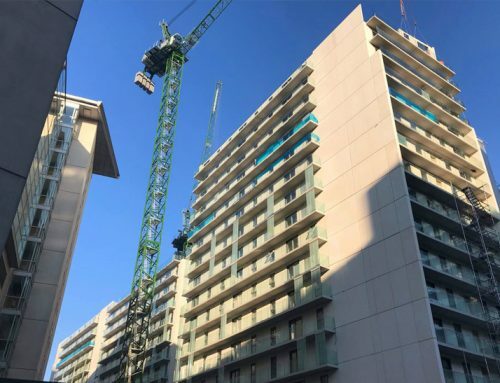 PCE’s GT floor units have been extensively used in long span multi-storey car park construction since their development five years ago and are now being increasingly used for other building types where flat soffit construction is required as well as the benefit of not requiring any structural topping resulting in programme savings and reduced floor thicknesses. 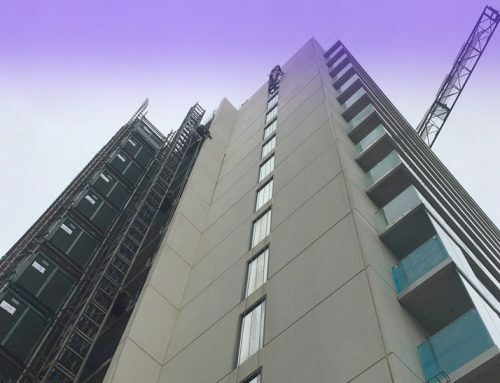 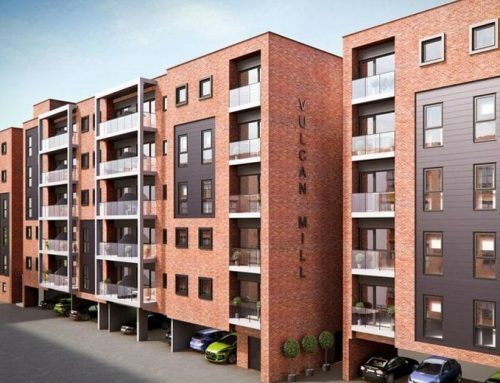 For the CEF project, the PCE team have developed the GT Floor Unit design to included embedded pipework in the soffit to provide the TABS solution developed by Velta, a subsidiary of the Uponor Group. 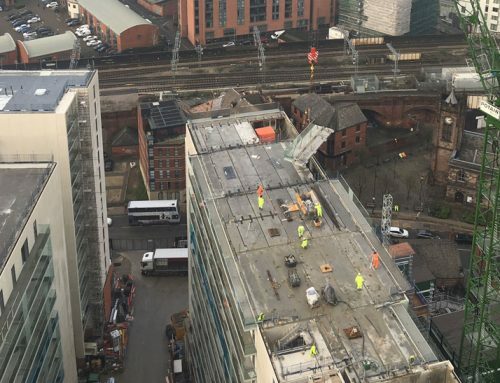 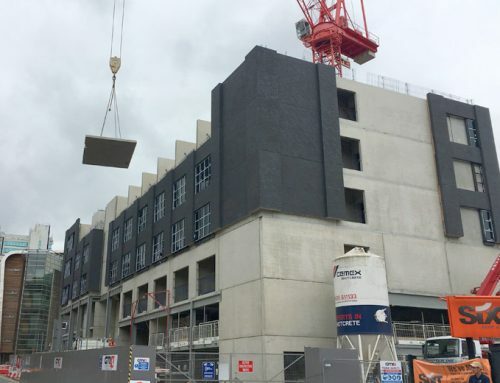 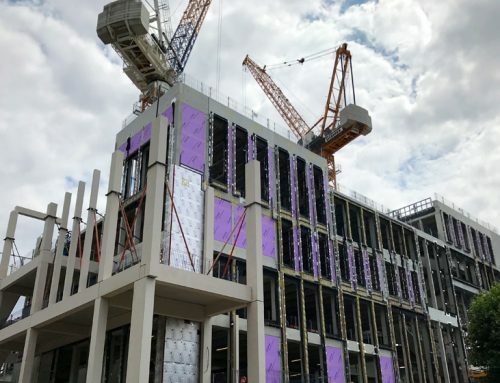 Such systems have a well-proven history in the structural precast concrete sector in the UK for over 20 years, but combining it with the innovative GT Flooring Unit with its enhanced thermal resistivity above the soffit concrete layer is a significant step forward.